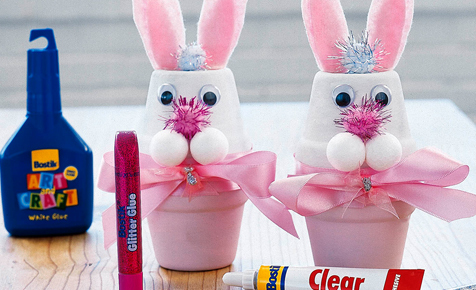 Make your own Easter bunny pot - it's so cute, easy and fun to make with Bostik's innovative range of adhesives and glitter glue pens. Your bunny pots also make for great gifts or the ideal Easter table decoration for the kids. You can even use them as a place setting - simply glitter-glue your gurests name onto the bunny pot!